I just recently made the jump to an HTC One, but my last two phones were real stinkers. It's with this bad taste in my mouth that I am glad to see things improving on the budget end of things. 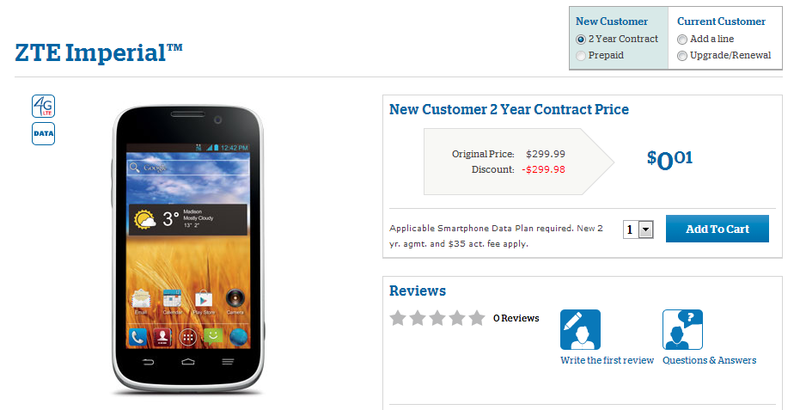 US Cellular is debuting the ZTE Imperial, an Android 4.1 handset that doesn't make me hold my nose while reading its spec sheet. 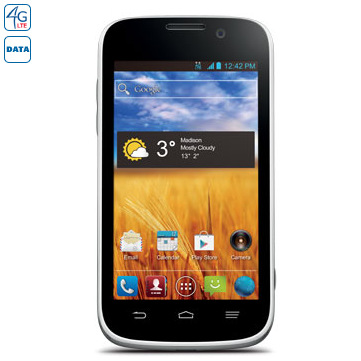 It comes with a 1.2 GHz dual-core processor, a 5MP rear-facing camera, and a front-facing camera for video chatting. It is the 14th 4g LTE-capable phone from US Cellular. That said, not everything is gumdrops and roses. The 800x480 screen resolution won't win any awards, and the measly 4GB of internal memory will leave even the most casual of users in need of a MicroSD card. Still, this should make for an excellent starter phone and a non-embarrassing option for anyone whose budget may be holding them back from the premium device of their dreams. Just be prepared for bloat. This handset is coming with not one, not two, but seven Amazon apps preloaded. The ZTE Imperial launches today online and will be available in stores tomorrow. It's a $299 phone available for $0.01 after an instant rebate and 2-year contract.